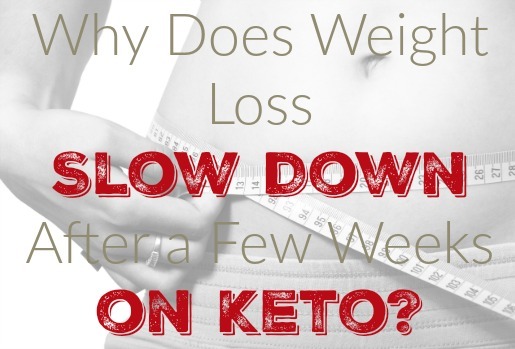 One of the more common questions I get about the Ketogenic Diet is why does the weight loss tend to slow down after a few months? To answer that question, we first need to look at what happens in those first few months and what changes moving forward. In the first few weeks or months on keto, your body undergoes some fairly significant changes. The biggest one as far as weight loss goes is your body begins to use up the glycogen stored in the muscle which causes your body to dump a lot of water. As your glycogen stores dwindle, the amount of water in your muscles decreases causing fairly significant weight loss. This is why it is so important to drink more water and eat more salt, especially in those first few months as your natural stores of those resources are reduced. But after that initial period where your body adjusts to this new way of life, what happens? 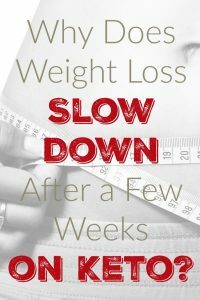 Why does it seem like weight loss slows to a crawl and what can we do about it. As the weight begins to come off, your skin begins to loosen. Your body has a natural process that will begin harvesting this loose skin and tightening it up. This is why people who lose weight with Bariatric Surgery tend to have MUCH looser skin over time than people who lose weight through more natural means. 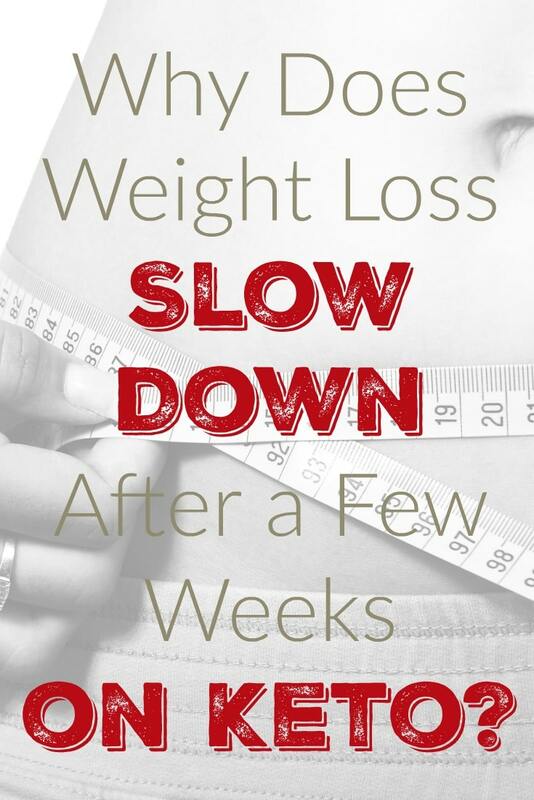 When the weight comes off in a hurry, especially if you do it through calorie restriction which often means mild malnourishment, your body just doesn’t have the chance to lose weight at its own pace and make those necessary repairs throughout the process. Allow your body the freedom to do what it needs to do at the pace it needs to do it, just keep giving it high quality foods that don’t raise blood sugar and plenty of fat. Your body will know what to do from there. If you are morbidly obese, it is safe to say that your metabolism is broken. It is also safe to say that you probably have more things amiss in your body than you are even aware of. Your body wants to fix all that but it takes time and energy. Fortunately now that you are eating a nutrient dense diet with plenty of healthy fats, you are supplying the necessary energy and now you just need to allow for the proper passage of time. When I was losing my 200 lbs, there were whole months where NOTHING happened on the scale. I mean no movement whatsoever. But when that long journey was all over I was able to go back and look and see a fairly consistent weight loss of 10 lbs every 2-3 months so even when it looked like nothing was happening, something was going on the background, I just didn’t always know what it was. Did you know that rapid weight loss is a risk factor for a heart attack? When you were eating crappy carbage and packing on the pounds, your body wasn’t just storing fat in your fat cells, it was also packing away excess toxins in those cells to protect your health as best as it could. If you lose a ton of fat in a very short amount of time (Looking at you Bariatric Surgery) your risk of a cardiac event in the short term goes up. (It comes back down over time as the other health benefits of losing weight come but still, you gotta survive those first few weeks.) Your body knows that it can’t flood your system with toxins so weight loss is slowed so those toxins come out little by little where they can be filtered by the kidneys and liver. You can support this process by eating more cilantro or parsley and of course, drinking more water. When you were eating a Standard America Diet, your hormones were all over the place. Insulin was constantly elevated, Leptin was high, Ghrelin was ignored, cortisol was all over the place. In short, hormonally you were a mess. And that’s just if you are man, women already have hormone cycles at play that throw a further monkey wrench into this. Your body wants your hormones regulated and now that you aren’t spiking your insulin 6 times a day, it can do that but it will take time. It has to reregulate hormones, rebalance the acid and base balance in the blood, and rebalance the mix of certain enzymes. It’s a lot of work but it is necessary to regain your health. Something that is not common knowledge is a ketogenic diet is muscle sparing. In other words, you will grow muscles easier and maintain them longer on a ketogenic diet than on a SAD diet. Add to this that on keto you will have more energy and want to move more, it’s not uncommon for you to put on more muscle mass even if you don’t think you are exercising more. The kicker is that muscle weighs twice as much as fat so as muscle comes on at the same rate fat leaves, the number on the scale can stay the same or even creep up. That’s OK! This is why it is so important to not just weigh yourself but also measure yourself, especially your waist circumference. You want to track that because a reduced waist is even more important than a lower number on the scale. What has been your experience so far on keto? I’d love to hear from you in the comments below! Wow, I really needed to hear this. I’ve been on Keto for 4 months. I am 200 pounds overweight, a woman and 58 years old. I have not cheated at all and lost 32 pounds. I seem stuck. Reading about all that is going on really helped me feel like I can be more patient. I will stop weighing daily because it’s bumming me out. Thanks for this post. Glad to help! Just keep eating good, high quality foods and let your body heal.